Fore Ranch is a great community on the Southwest side of Ocala just off of Hwy 200, across from Heathbrook Market Shopping Center. It is a rare community in that it offers a community pool and splash area, game room and an adult lounge for its residents. You get a great community feel in this neighborhood. Bring the kids! If you want shopping, near by hospital, dining, great schools all with in close range to I 75, then this is the place for you. Fore Ranch consists of several neighborhoods including Saddle Creek Phase 1 and 2, Red Hawk, Cimmaron the condo communities of Brighton and Wynchase. Want to sell a home here: Home values depend on a great many things. Please click here for a free evaluation and then we can determine the best marketing plan. How much will my payments be on a house here? You can click here to be directed to a lender. Want to buy a home here: Great! Please take a look at the homes currently available here and let me know when you want to take a look. 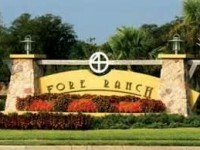 Gated Community, Wynchase - Fore Ranch. Thwo Bedroom Two And One Half Bath Townhome. New Paint, New Carpet, New Window Blinds,New Stove, New Dishwasher And New Microwave Oven. Screen Patio. This Is Move In ready.